Last week, President Obama released the Fiscal Year 2017 budget, which calls upon Congress to dedicate $11 billion over the next 10 years to provide families across America with the housing assistance they need to exit homelessness and achieve stability — enabling communities to reach and maintain an end to family homelessness in this country once and for all. A majority of these resources would fund Housing Choice vouchers, while the remainder would support rapid re-housing. Additionally, the budget calls for increases in discretionary funding of $88 million for Housing Choice vouchers and $24 million for rapid re-housing and $2 billion over five years to provide emergency assistance to families facing financial crises. This proposed budget demonstrates the Administration’s commitment to the vision outlined in Opening Doors, and the need to act with urgency to end homelessness for everyone. 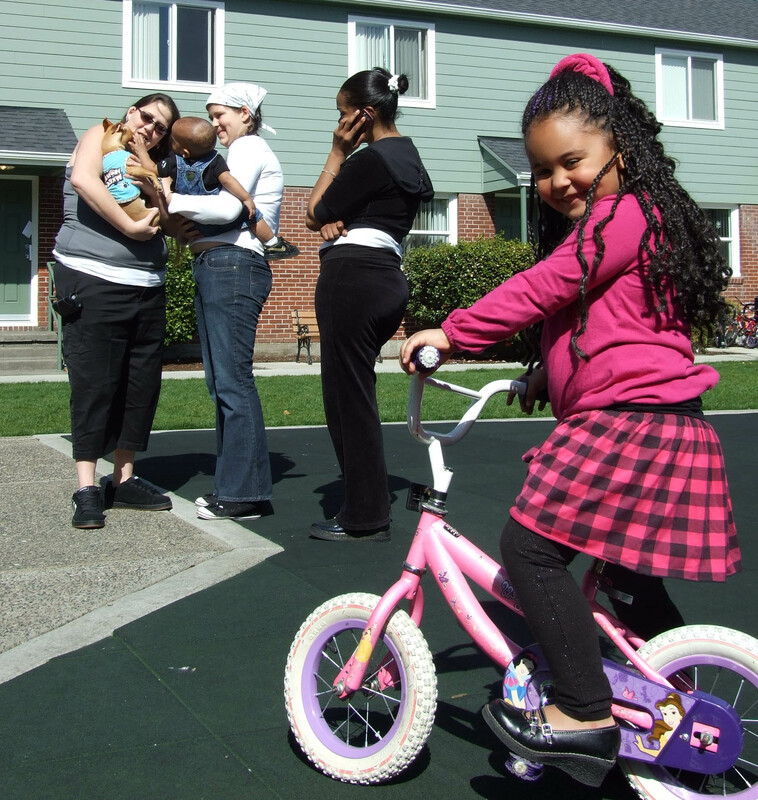 Access to stable, permanent housing is essential to ending homelessness among families and children. It serves as a platform for families to achieve success in other areas, provided that they have access to an array of additional supportive services, such as child care, early childhood and educational supports, employment services, and health and behavioral health services. Family Connection: In this 2014 guidance, we identified four key strategies for federal, state, and local action to end family homelessness. First, developing a coordinated entry system where families are able to access targeted prevention assistance and temporary shelter as needed. Second, tailoring interventions and assistance to the unique needs of families, including providing assistance in locating rapid re-housing, increasing access to affordable housing, and directing service intensive housing interventions to families with the highest needs. Third, connecting families to mainstream resources such as benefits, employment, and community-based services. And finally, we identified the need to develop and build upon evidence-based practices. Rapid Re-housing Performance Benchmarks and Program Standards: Recently published by the National Alliance to End Homelessness, this resource offers details on performance benchmarks you can use to assess and strengthen your rapid re-housing program. It also provides program standards to help you meet the performance benchmarks. Federal Resources that Can Fund Rapid Re-housing: This guide can help you identify potential federal funding sources to expand your community’s rapid re-housing capacity. Information Memorandum on TANF's Role in Ending Homelessness: In 2013, the Administration for Children and Families released a Temporary Assistance for Needy Families Information Memorandum, which details how TANF can be utilized to assist families experiencing homelessness. Domestic Violence Housing First Program Final Evaluation: This pilot program found that using a survivor-centered, Housing First approach to preventing homelessness for victims of domestic violence led to increased levels of safety and stable housing for participants, as well as lower costs for domestic violence programs. Head Start and Early Head Start Partnership Resources: Published by the Department of Health and Human Services, this resource provides guidance on how service providers can collaborate with Head Start and Early Head Start programs to address family homelessness. We, and all our federal agency partners on the Interagency Working Group to End Family Homelessness, are committed to implementing the kinds of strategic actions that will help you accelerate your state and local efforts. Over the next year, keep an eye out for additional guidance and tools. Together, we will end family homelessness in 2020!